If you like graffiti and skulls you’re gonna love this amazing Skull street art by Steve Locatelli, a famous Belgian graffiti artist. Steve’s biggest dream was to make a job out of his passion and he succeeded. Before that, however, he had to work things out with the police and a strict father. He started on the graffiti scene in the early 90s in the Brussels metro. 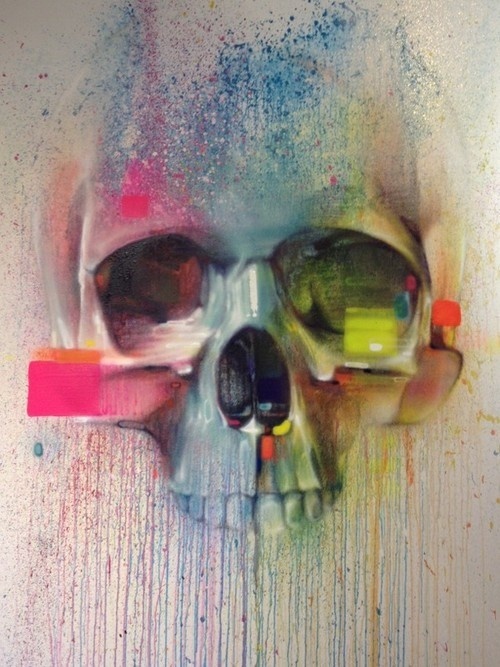 Steve Locatelli is an contemporary artist known for his brightly colored pieces often featuring skulls.